Two Bears Farm and the Three Cubs: Have you had Mochi? The summer of 2007 I ran in the San Francisco marathon. In addition to falling in love with the city, I was introduced that summer to a new delicacy. My friend Katie gave me a little ball of ice cream from Trader Joe's called mochi. I've loved them ever since. Of course we don't have a Trader Joe's in Roanoke (insert mad face). But whenever we have a chance out of town we always stop in. When we went to Trader Joe's in Greenville, Pierce immediately said, "Mom, can we get some mochi?!" Even though it had been a year since we went to Williamsburg, Pierce still remembered the mochi we got there. Guess I'm not the only fan in my family. In fact, Pierce is still complaining that we couldn't bring some home with us, but I didn't feel it would survive the long drive plus a detour through Asheville and the NC Arboretum. 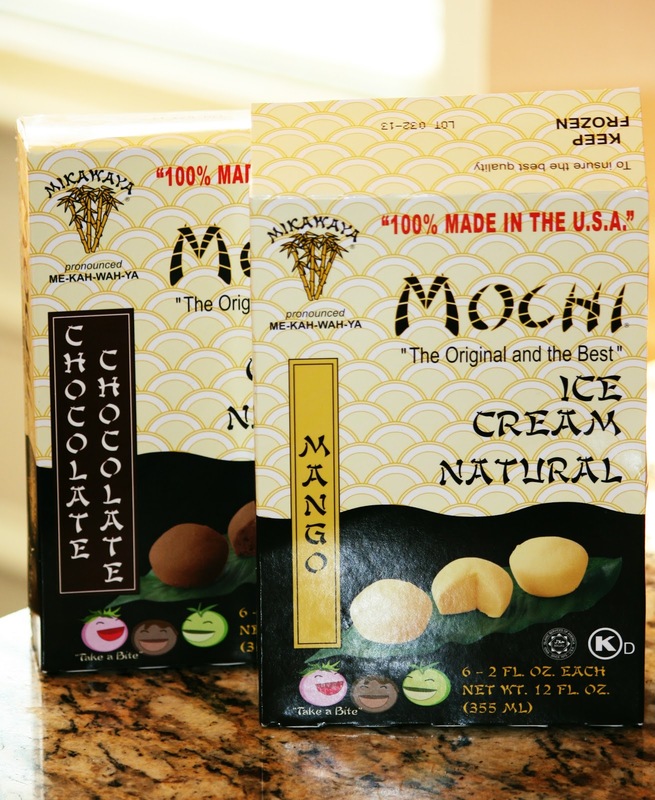 Readers, have you ever tried mochi? If so, what's your favorite flavor? I don't like the green tea, but I do love the others, and mango is probably my favorite. I've never tried it but if I ever find a Trader Joe's I certainly will! Sounds great !!! Have a wonderful day !!! We haven't tried it, but think my guys would love it. No I sure haven't, but you know you have me on a mission to do so now! I have never heard of nor tried Mochi!! I have tried Green Tea ice cream in a Japanese restaurant before though. Wonder if it is maybe the same thing. Nope never had it! I see people blogging about stuff they bought from Trader Joe's ALL the time! And cool stuff that I would love to try out. Makes me sad that we don't have one here in Florida! I just looked and they actually do have Trader Joe's in Florida but all the locations are 4+ hours away from where I live. >:[ So I won't be going there after all. lol sigh. I've never tried a mochi, but they look good. Anything mango flavored has to be good! I've never been to a Trader Joe's either, but I keep reading about them. If there aren't any in Roanoke, I know there aren't any in Lynchburg. LOVING this post!!!!!! Because we have a new Trader Joe's in Charlottesville, and every time I go, I pick these up and look. But I have never bought any. For one thing, do you think they would be alright in a cooler with ice bags on the half hour trip home?? They are so small I am afraid they may melt. Because now I really want to try them! Are they dipped in chocolate, the box really does not say much about them. Never heard of it--or tried it. I'll have to look for it sometime... Sounds good. I love ANYTHING mango!!!! Have a Joes close ,will give it a try. Nope, never even heard of it! When we lived in St. Louis we went to Trader Joe's all the time, but that was several years ago. Never heard of this (enter sad face here). I will look for it! I've never heard of it. But, now you have me intrigued. Oh wow! These look delish. Trader Joe's in one of the few things I miss from Vegas. There is one in Kansas City, I will have to try these next time we are up there. I heard a rumor that Trader Joe's is coming to Baton Rouge. I sure hope it's true. These look wonderful. I've never tried it. But now I want to.